690.00 sqft. - 1285.00 sqft. Situated in Navi Mumbai at Ulwe, Krishna Paradise is a residential development launched by Krishna Enterprises. This project provides a vast range of amenities including . Prominent suburbs of Navi Mumbai are close by and with several schools, hospitals, banks and offices situated in the proximity, the project is a preferred choice for home seekers. Ulwe has become one of the most prominent nodes in Navi Mumbai developed by CIDCO. It also has a number of scenic attractions which add on to its beauty. Its easy connectivity to the nearby places via Road and Railways is the prime reason why people opt this place for property investment. This area is situated along the South Western water front of the CBD of Navi Mumbai and extends down towards the JNPT port in the South. It is also strategically situated across the Panvel Creek and is in visual contact with CBD at Belapur & Seawoods Nerul. Ramsheth Thakur International Sports Complex is just a stone's throw away from here. Proposed Navi Mumbai International Airport is on the NorthEastern side of Ulwe. Also, the proposed Nerul-Uran Railway line passes through Ulwe and has two railway stations i.e. Bamandongri and KharKopar. Proximity to the upcoming Navi Mumbai Metro Rail, Mumbai Trans Harbour Link and Navi Mumbai Special Zone, Ulwe is likely to be recognized as a prominent location for investors, working professionals and property buyers. 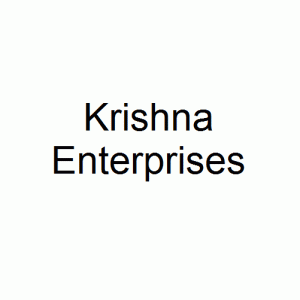 Krishna Enterprises is a renowned Real Estate firm based in the city of Mumbai. The company has diversified in the construction and development sector & they have constantly and progressively focused on creating a more than pleasing stay experience for their clients. Today they have an unmatchable standing with clients and they are dedicated towards providing excellence, dependability, honesty and fineness in building. They are extremely revered for their simplicity, promise, honesty and sincerity, defining standard for quality and perfect execution of the projects. These core values have made them to reach heights within a short period of time. Their foundation area of proficiency is projects in Mumbai. The finished and upcoming projects are very well examples of worth, planned location and value for money.